When talking of recharges platform, E-Top Up is a most convenient, stress-free and hassle-free, it is the best means for you to buy right from your phone at the comfort of your home as soon as your data or airtime exhaust. If you are still buying recharge cards at physical stores, that means, you are just stressing yourself for no reason. There are many online channels that we have been using for long to purchase airtime, when Zoto Mobile recharge came on board, most of you guys like it because of their cash rewarding, but it seems Zoto is now relent in giving us attractive bonuses, because they have reached many miles within a short period of time with enough customers. 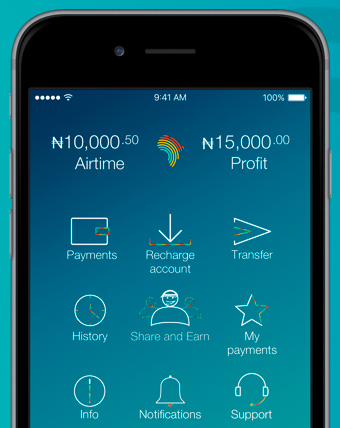 For those who are looking for alternative, here is a brand new app called (TopUp Africa). TopUp Africa offers multiple services under one roof using several payment channels to choose from. Convenience for end users, stable earnings and attractive bonuses for agents and cost-efficiency for Service Providers. With TopUp Africa EVERYONE wins! TopUp Africa gives you 24/7 access to a variety of services, such as Airtime of all Networks in Nigeria, Electricity Bills Payment, Pay-Tv and Internet Subscriptions, etc. as well as fund transfer to all bank accounts in Nigeria. You can pay for any of these services with just a click and interestingly, you are rewarded with instant CASHBACK! TopUp Africa helps you to start your own business with minimal capital by allowing you to retail services such as Airtime of all Networks in Nigeria, Electricity (Prepaid/Postpaid), Pay-Tv and Internet Subscriptions, etc. It is a one-stop-shop for wide spectrum of services and your mobile phone is your shop! Follow the on-screen instructions to use it for any transaction you want to make. Simply click on SHARE AND EARN. Then share to Facebook, Email, Telegram, WhatsApp or any other place of your choice. You can use your earnings to subscribe for data plans, pay bills and so on.